Enjoy over 65 delicious items including soups and salads, seafood, traditional comfort foods, dessert bar and a kid’s selection. 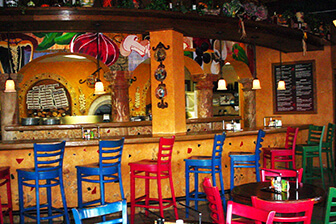 Don't miss daily special menu items which could include Italian, Mexican and Asian dishes. A delightful selection of salads, sandwiches and an incredible variety of hearty thin-crust pizzas baked fresh in a stone hearth. Along with a delicious feast goes the beverage of choice, which includes wine and beer. 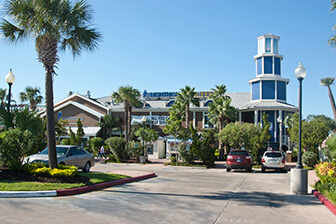 Located adjacent to our hotel, Bayside Grille serves breakfast daily. 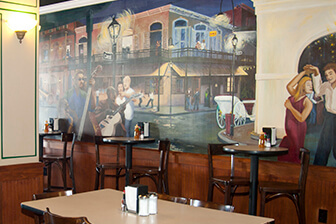 Offering specialty coffees, warm beignets and breakfast sandwiches, Bayside Grille makes a convenient stop for breakfast. Also open for lunch, stop in for fresh salads, Paninis and croissant sandwiches. Enjoy a delightful array of muffins, Danishes, cookies and desserts. Bill's Bar and Burger - Coming Soon! From Junk Fries to Monster Shakes - Bill’s Bar and Burger is set to impress patrons with its premium craft burger list that includes its signature ‘Fat Cat’ Burger that was listed as one of CNN’s “Top 10 Burgers in America”! Make your taste buds drool – learn more at.www.billsbarandburger.com. Proud Member of AAA, TTIA, Houston and Bay Area Convention & Visitors Bureau | © 2018 - Landry's Inc. All rights reserved.